​Fr. Mark and his family have long considered Scottsbluff/Gering home. Before responding to a call to the priesthood, Fr. Mark worked in the healthcare industry. In 2003 he moved to Denver to attend Iliff School of Theology, graduating with his MDiv in Anglican Studies. 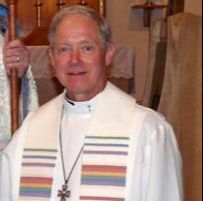 Since being ordained a priest in 2007 he has served as Curate at St. Martha's Papillion and then Rector at St. Augustine's in Elkhorn. When not at church, Fr. Mark enjoys fishing, playing pickleball, and spending time with family. He and Jill have five children and two grandsons. Karen Anderson was born and raised in the Black Hills of South Dakota. She graduated from Watertown Business University in Watertown, SD. She has four grown children and ten grandchildren. Gering became her home in 1997. Karen has twenty-four years experience in the Chamber of Commerce industry and currently serves as the Executive Director of the Scottsbluff/Gering United Chamber. She was baptized April 17, 1965 and confirmed June 29, 1965 at Christ Church in Lead, SD. She worked at Thunderhead Episcopal Church Camp during high school. 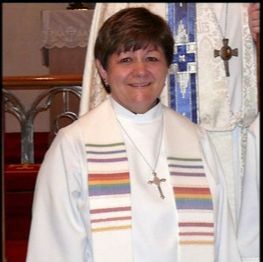 Currently she serves as a Priest at St. Francis Episcopal Church in Scottsbluff, Nebraska. She has served on the Diocese Standing Committee. Lisa Betz-Marquez is in the office Tues-Thurs 10a.m. until 1:00 p.m., and Wednesdays from 8 am to 1 p.m. She updates and manages the various records, calendars, and databases, creates bulletins, answers phones, and greets visitors. When she is not working at St. Francis, Lisa teaches yoga at her studio, Prairie Arts Yoga, in Gering. ​In the Episcopal Church, each parish is bound by national and diocesan canons (rules), and governed by a local board comprised of parish members, which we call a Vestry. At St. Francis, our Vestry consists of 12 members -- the Rector (our Senior Priest), and 11 lay members. The Senior and Junior Wardens assist the Rector in the day-to-day business of the church, and are elected to 1-year terms. The other 9 Vestry members are elected to 3-year terms, with three elected every year. Elections are held and the Annual Parish Meeting every January. The Vestry meets monthly to discuss the various business and ministry needs and accomplishments of the parish. The Rector chairs the meetings, which are open to all members of the parish, although only Vestry members may bring and vote on resolutions.